Enjoy a long scenic drive on Big Sky Resort's Arnold Palmer designed 18-hole golf course. Relax in comfort at the Huntley Lodge, Whitewater Inn, Shoshone or Summit Two Queen Hotel Room, or any other of our fine properties. A two night package includes lodging, two rounds of golf and a scenic lift ride for two people. 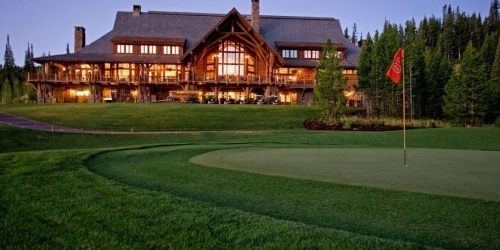 Big Sky Resort Golf Course reserves the right to change price and offer at anytime. Prices and offer are subject to change without notice. GolfingMontana.com is not responsible for errors posted in this golf package.